Each and every business strives to be profitable - not just profitable but forever profitable. In this day and age, where tough economies have affected profitability, businesses across the globe have taken strain. Downsizing, liquidations and bankruptcy are among the many terms that we have become accustomed to hearing. John Sanei, global speaker, entrepreneur and trend specialist, has the answer to success and he calls this methodology ‘Forever Profitable’. He will be sharing his answers to being forever profitable at the South African Council of Shopping Centres (SACSC) Western Cape Chapter Networking Breakfast which will take place at the Radisson Blu Hotel, Granger Bay, Western Cape on November 23rd, 2017. According to John, this methodology is based on having the future in mind. “I have been privileged to discover and develop a methodology called ‘Forever Profitable’ and it is my pleasure to share it with everyone. 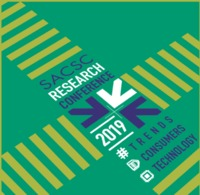 I address the contextualisation of trends that have a direct impact on how executives and business owners innovate at every touch point of their organisations - focusing on the future of industries, consumers and employees,” he said. With over two decades worth of experience as a trend specialist, business strategist, keynote speaker and entrepreneur, working with clients across industries and across the globe, calling him renowned is an understatement. Amanda Stops, Chief Executive Officer of the South African Council of Shopping Centres (SACSC) encouraged Western Cape-based entrepreneurs, businessmen and women, retailers and industry professionals to attend the event. “John Sanei has a unique approach on many topics and his presentation on being ‘Forever Profitable’ is one that will shed immense light on a crucial aspect of all businesses’ survival and that is profitability. We welcome John and we are sure that those who attend will walk away well-informed,” she said. John’s approach to being forever profitable focuses on three ‘core components’. Each of these components are designed to successfully launch companies into the future. According to John, time is speeding up and the future is now. “What we are seeing now is the future coming at us at a really fast pace. Being a businessman or woman is becoming increasingly difficult. The world is changing. We are starting to see the collapse of capitalism. With the death of capitalism, we will see the rise of the sharing economy. We’re starting to see that having a differentiator in a business is not enough in this day and age. You need to be aware of the futures of your industry, your consumer, your staff and lastly your possible competitors,” he said.